Download for FREE the AVATAR GRENADE STANDARD SINGLE HOLDER CLIP. Ready to be 3D printed! ENJOY!!! >>> CLICK HERE to download the file for FREE! [FR]Téléchargez GRATUITEMENT le HOLSTER QD AVATAR GRENADE STANDARD. Prêt à être imprimé en 3D! AMUSEZ-VOUS BIEN!!! >>> CLIQUEZ ICI pour télécharger GRATUITEMENT le fichier! Download for FREE the AVATAR GRENADE STANDARD DOUBLE STACKER HOLDER CLIP. Ready to be 3D printed! ENJOY!!! [FR]Téléchargez GRATUITEMENT le DOUBLE HOLSTER QD AVATAR GRENADE STANDARD. Prêt à être imprimé en 3D! AMUSEZ-VOUS BIEN!!! Download for FREE the AVATAR GRENADE LITTLE LOUD SINGLE HOLDER CLIP. Ready to be 3D printed! ENJOY!!! [FR]Téléchargez GRATUITEMENT le HOLSTER QD AVATAR GRENADE LITTLE LOUD. Prêt à être imprimé en 3D! AMUSEZ-VOUS BIEN!!! 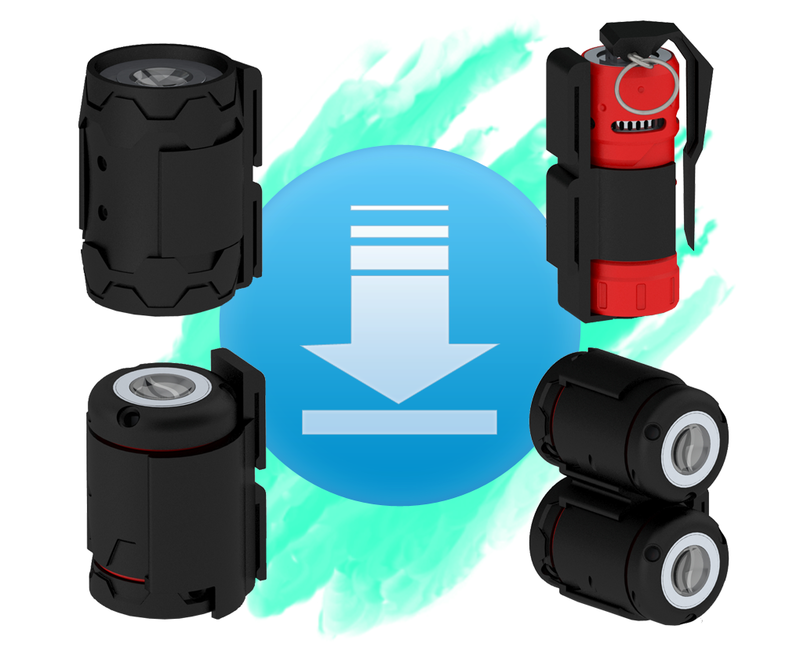 Download for FREE the AVATAR GRENADE TACPHOON SINGLE HOLDER CLIP. Ready to be 3D printed! ENJOY!!! [FR]Téléchargez GRATUITEMENT le HOLSTER QD AVATAR GRENADE TACPHOON. Prêt à être imprimé en 3D! AMUSEZ-VOUS BIEN!! !